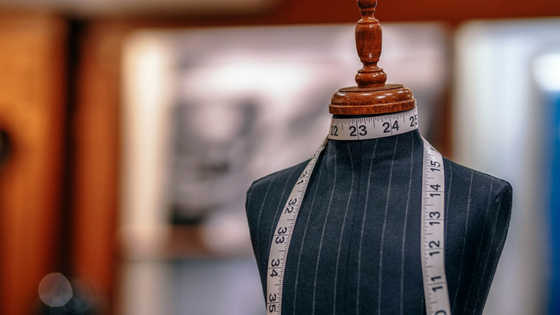 As a designer, the relationship you have with clothing manufacturing companies will determine the overall quality of your line. The clothing manufacturing company you choose will be responsible for bringing your product to life and will be scaling with you as you grow. This relationship is crucial because it is the foundation of your business. The first time you communicate with clothing manufacturing companies you need to have clear expectations of what you want and how each side will operate together. There are three basic routes you can go to produce your clothing line. What will work for you depends on your personal background, experience, and ultimate goals. A full-package manufacturer is exactly what it sounds like. This is a full-service operation. Full-package manufacturers will procure all the necessary materials as well as approve the quality of the materials. They will handle the pattern making, cutting, sewing, printing, packaging, folding, and everything that comes with producing a line. Full-package manufacturers are perfect for emerging designers as well as more experienced operations. They offer streamlined communication between the individuals handling each step of development, making the whole process more efficient. A CMT is a cut and sew factory. Rather than procuring the materials themselves, you will source all materials and send it to the factory. They will then cut and sew the garments and give them to you. On occasion, these factories may offer packaging services, but this is not typical. CMT factories are better for more experienced designers who have their own pattern makers and are adept at sourcing their own materials. Piecemeal is not a type of factory, but a process. This method is not recommended for emerging designers and should only be used by those with an extensive background in the fashion industry. Essentially, you will use a different factory for each individual step. When it is time to cut, you will bring all of your fabric and patterns to a cutting house. For the next step, you find a sewing house to assemble your product, and so on. The issue with this method is that you are spreading the production process over multiple factories and that can lead to communication and price issues. So you have chosen the type of factory you want to use, but what should you bring with you to make sure the manufacturer is the best fit? It’s best to know what you want beforehand rather than leave decisions up to the manufacturers. When starting the production process, have a clear vision of your final product and work backward. A thorough vision will allow the manufacturer to get a better picture of what they need and how much it will ultimately cost you. This is one of the easiest things to find on your own. Go to a fabric store, your favorite clothing store, or even your own closet. Find a fabric that you love and will work with what you are designing. Take a piece and bring it with you when you talk to the manufacturer. Just like the fabric, you need to bring a physical example of the buttons, zippers, or any other trims you want to incorporate into your product. You need to have a fit reference sample. This should be a garment with the measurement and fit that you want to achieve. Along with the sample, bring your notes. Do you want it longer or shorter? Would you like different sleeves? Even if it seems pieced together, a tangible example will clearly communicate your goal. How much are you hoping to sell this product for? If you are planning to sell a pair of leggings for $120, they will be produced differently than a $60 pair of leggings. If you have already created a tech pack, this should be included in it. It is imperative that you ask the right questions to make sure you know exactly what you are getting yourself into. You are about to invest a lot of time, money, and effort. You should know that your dream is in good hands. What brands have they worked with? This question will give you a clear picture of the factories capabilities and overall quality of their work. Have they worked with emerging designers or only large fashion houses? Are the brands they have worked with known for having a less than desirable product? What certifications and licensing do they have? These are important. You want to know that the people you are entrusting your investment to have covered all their bases. Will they be willing to sign a contract? Historically, in the fashion industry, there is not a contract between a designer and manufacturer. However, there should be. A contract will protect you, the manufacturer, and your work. Even if they don’t implement contracts on a regular basis, they should be willing to sign one. What is the approval process during development and production? At what stages will you, as the designer get to step in and make the executive decision? This is your line, your hard work, and your money. 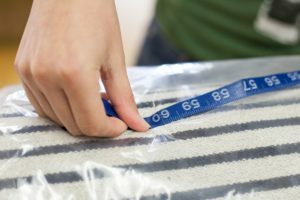 You want to make sure that you get fabric approval before even the first sample yard is ordered. A pre-production sample approval is also imperative and a major quality check. Pattern approval, on the other hand, is not as important unless you have an extensive background in pattern making. Do you provide a statement of work? Often times, during the production process, hidden or surprise fees may pop up. These fees come in the form of more than the expected number of samples needing to be made, dying and printing costs, or packaging costs. A thorough statement of work protects you from these surprises by clearly outlining the expected number of samples, the cost of sample making materials, and all other costs. What is the expected timeline and what are the factory’s responsibilities? Unexpected delays happen. The best way to keep small delays from spiraling into absolute disaster is to establish communication guidelines. You want your manufacturer to communicate any and all delays with you. Determine how often and by what method you will be communicating. What are your responsibilities as a designer during the production process? Be upfront about the level of involvement you expect to have during the development process. What stages do you want to check quality? Do they support this level of involvement? This is a big one, but before you ask the question, you should know why manufacturers have minimum order quantities (MOQs) in the first place. Whether producing 50 units or 500 units, there are certain steps that will take the same amount of time and cost, like approving patterns, negotiating with vendors, and picking up and receiving materials. It is easier to absorb the cost of these non-value added activities by spreading them across a larger number of units. The success of your line relies heavily on a positive and productive relationship with your manufacturer. You’ll know you’ve chosen the right factory when it feels like they are investing in you.